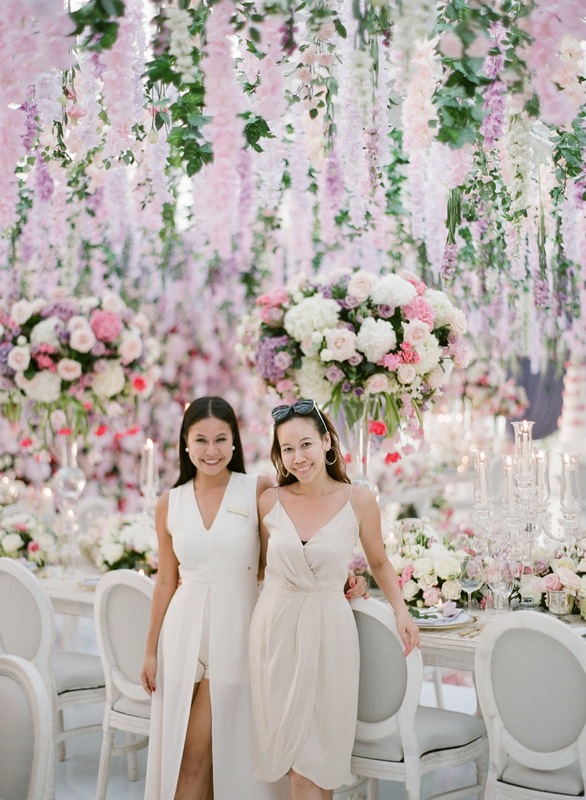 The Wedding Bliss Thailand focuses on full-service planning and design of the wedding. It all starts with a primary communication to discuss and define your expectations, dreams, and wishes. After the initial discussion, we conduct a venue site inspection, develop a full design proposal, handpick the best wedding vendors, offer advice and support throughout the planning process, and coordinate the flow of the day. We want to make sure that you’re enjoying the most important day of your lives with your nearest and dearest, fuss-free, to the most. We are constantly in touch: by email / Skype calls; a dedicated Whatsapp line for urgent matters is also at your disposal, from contract signing till the wedding day. Advisory, full consultation, on-site visit, inspection trip planning — all to find a perfect place for your perfect wedding. Every wedding we do is unique, and we take it very seriously finding just the right concept for you, to reflect who you are as a couple. We need to ask some questions, and get to know you more personally, but in the end, you will totally love the result! Elaborating a concept is only the beginning of numerous design tasks we have: we meticulously work on the smallest details, making sure that it all work towards the same goal: making your dream wedding come to life. To create one perfect wedding, it takes one perfect team of professionals. 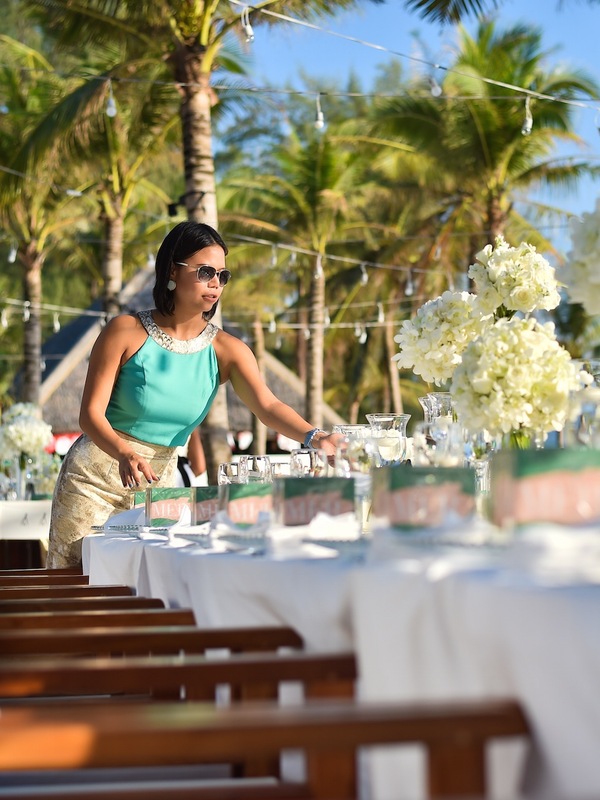 We cherry-pick our suppliers all around Thailand and all over the world, including creme de la creme photographers, videographers, florists, designers, singers and DJs, and many others; working with them hand in hand to create an unforgettable, fuss-free day for our couples. Yes, there is a place for surprises on the wedding day, but only if it was thoroughly planned in the first place. We create a detailed timeline of the wedding day, both for the vendor team and the bridal party, to make sure that everyone knows what’s about to happen, and what is their role in it. We understand that as bride and groom you already have your hands full with things to go over, that is why we are happy to help to accommodate your guests on pre- or post-wedding days. We have a lot of activities to suggest from yacht trips to cooking classes so that everyone can find something of interest to them. Guests’ accommodation is also something we think of: selecting a hotel with good group rates is something we can advise you on. If you want to make it official, right here in Thailand, the moment you share your vows, don’t be afraid and go for it! Our team of lawyers will carefully guide you through the legal process, personally meeting you in Bangkok for Embassy appointments, helping with paperwork and further legalization. We arrange a compulsory meeting the day before the wedding with the wedding couple and bridal party, discussing the sequence of the day, giving special attention to the ceremony rehearsal: after all, we’ve all gathered here to watch the bride coming down the aisle, haven’t we? The Wedding Bliss team is always present on the wedding day itself, running the sequence, cueing suppliers, guiding bridal party, guests, and the wedding couple. We are there to make sure that the day runs smoothly, and everyone present enjoys their time to the most.